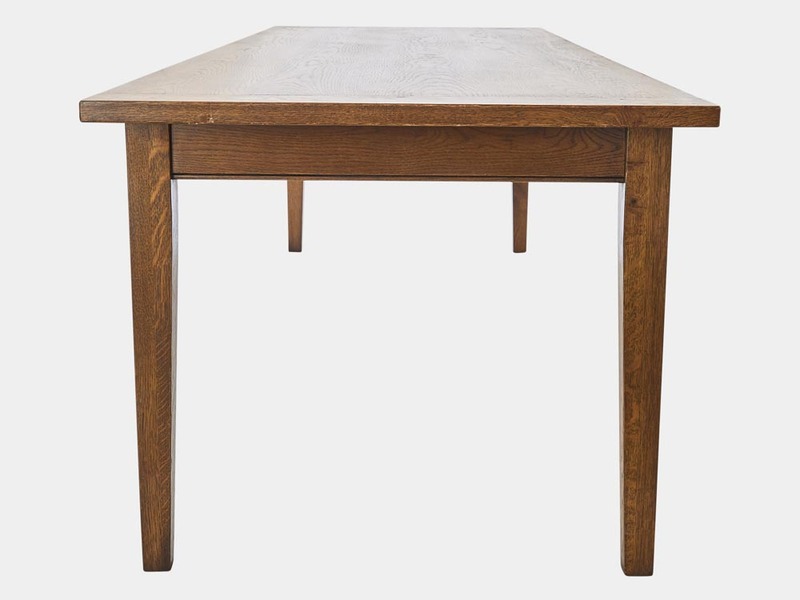 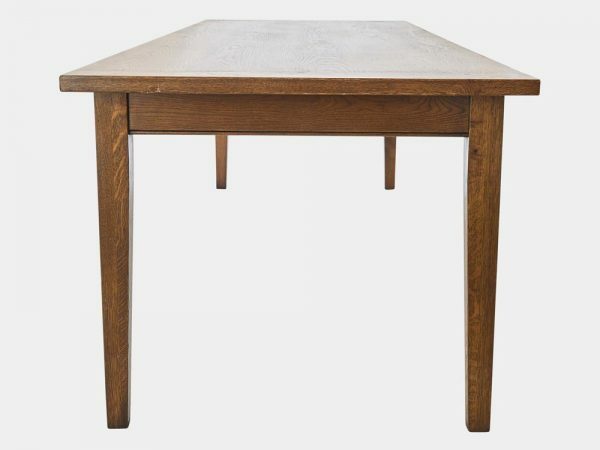 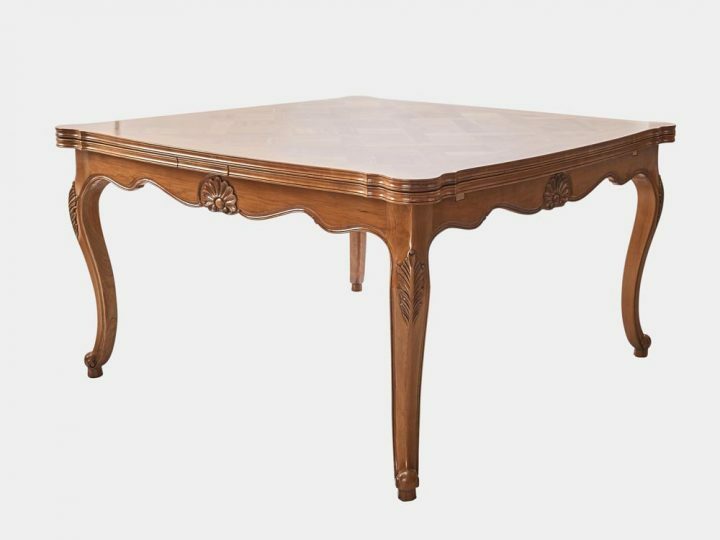 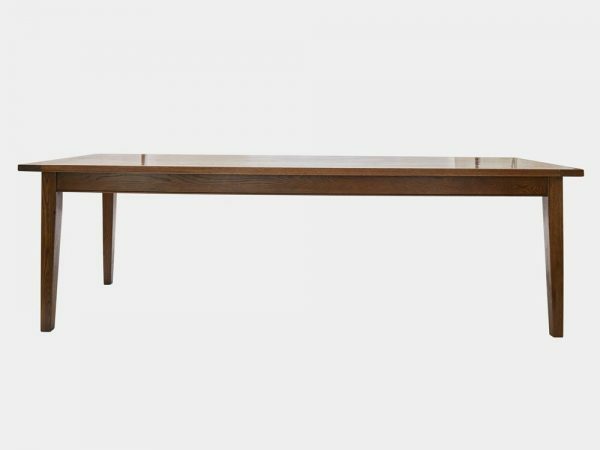 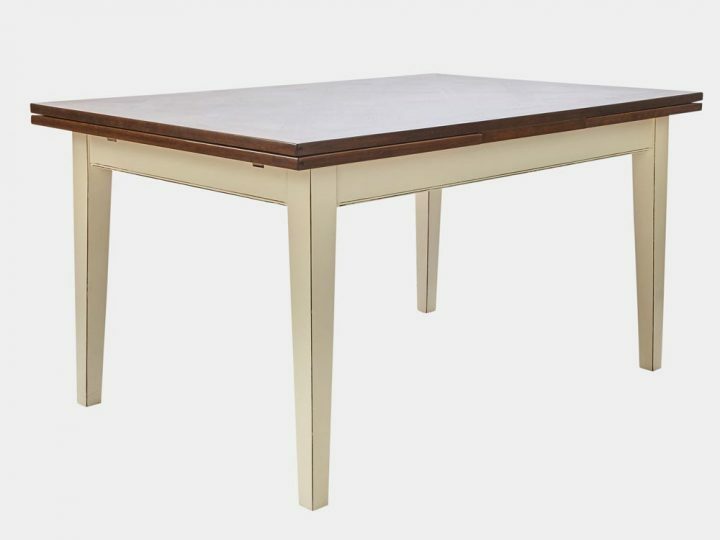 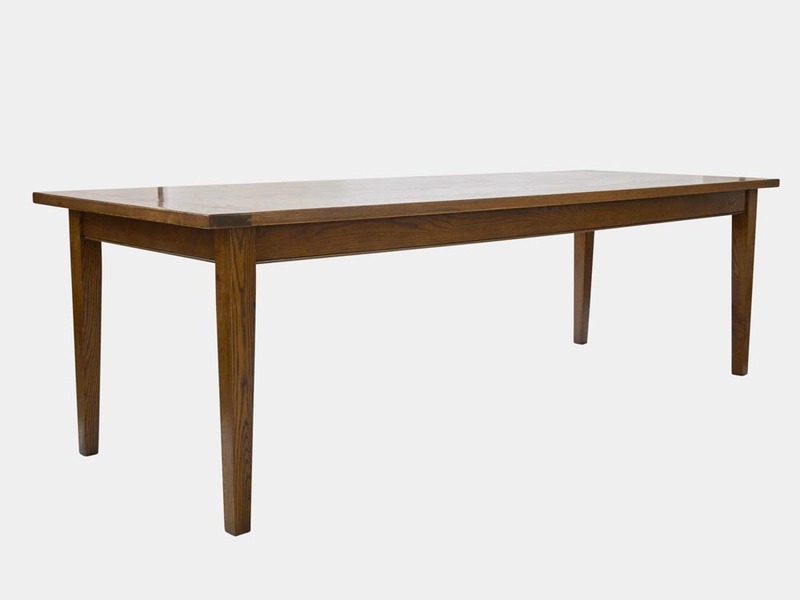 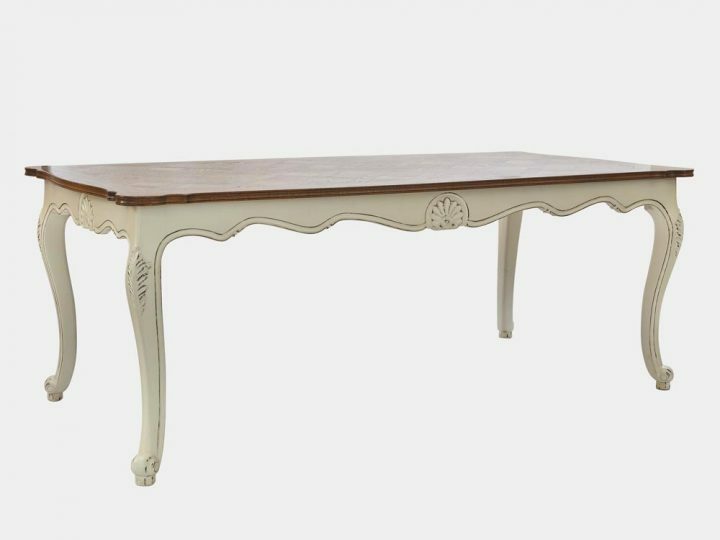 French provincial Dijon dining table with a thick plank top and tapered legs. 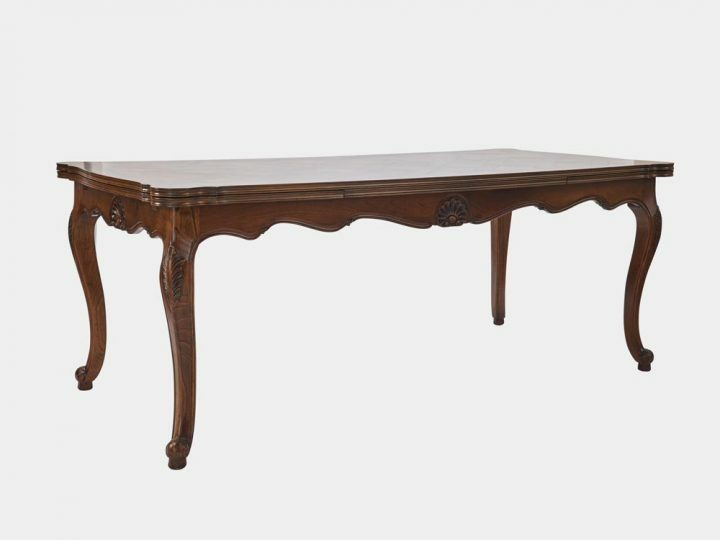 French provincial Dijon dining table with a thick plank top and tapered legs. It is available in oak and walnut. 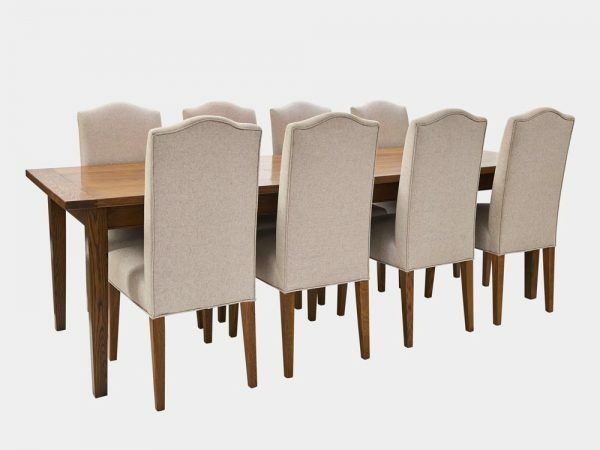 It is set up with matching Rochelle dining chairs.